Red Carpet Inspired Beauty Looks To Try Now. 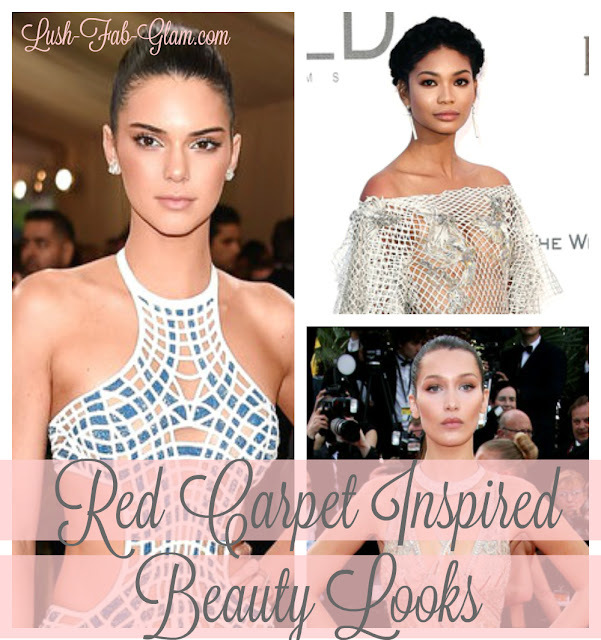 The red carpet season is one of our favorite times of the year not just because we love seeing the gorgeous designer gowns and dresses but also because of the stunning beauty looks and makeup inspiration that we look forward to recreating and sharing with you. 1. The Shimmer-eye beauty look: Get this glamorous look by applying shimmering eyes shadow at the inner corner of eyes and pair it with a subtle lip color. Add more shimmer like singer Rita Ora for a night on the town. Model Kendall Jenner at the Met Ball 2016. Bella Hadid at Cannes Film Festival 2016. Model Jourdan Dunn at the Cannes amfAR Gala 2016. Model Karolina Kurkova at the Met Ball 2016. British singer Rita Ora at the Met Ball 2016. Model Rosie Huntington Whiteley at the Cannes amfAR Gala 2016. Toni Garn at the Cannes amfAR Gala 2016. Model Chanel Iman at the Cannes amfAR Gala 2016. Model Karlie Kloss at the Cannes amfAR Gala 2016. Which red carpet inspired beauty looks will you try? Share with us by leaving a comment below.